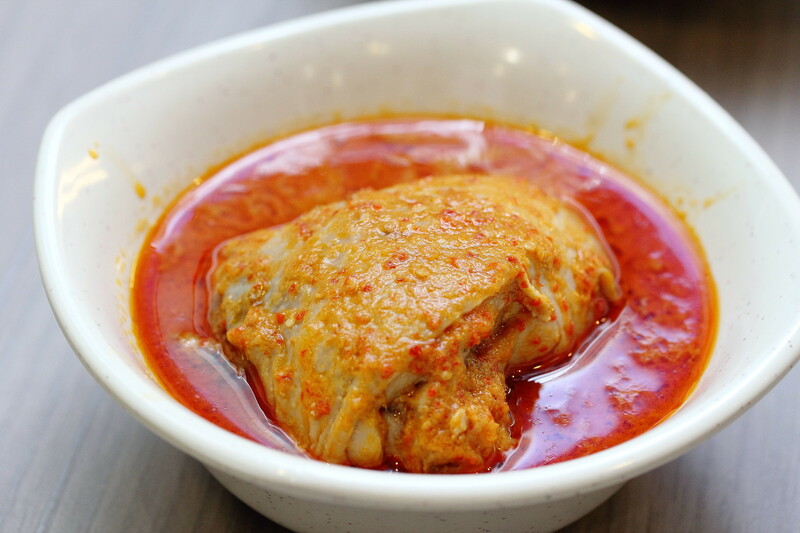 Warung Kampong is a Nasi Padang eatery located at the basement of Central Clarke Quay. To my surprise, it is actually opened by an Indonesian Chinese couple, in which the husband picked up the art of Indonesian nasi padang in Medan. Humble and simple furnishing, which will set you up in the mood for an authentic Indonesian cuisine any time of the day. I started off with the Sambal Prawns and the Sambal Sotong (They ran out of fish, sad to say). I think both the sambal used are the same. 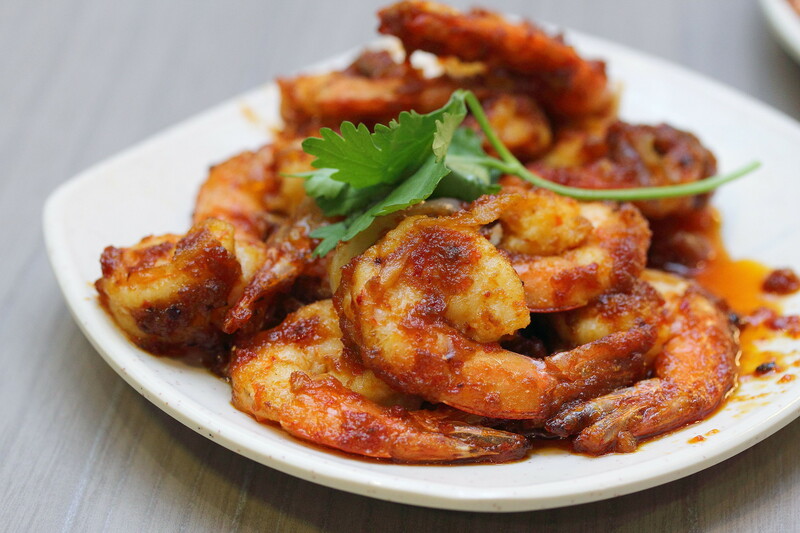 I like the fact that both are not too chilli-hot, which might otherwise overpower the taste of the spices and sweetness of the seafood. 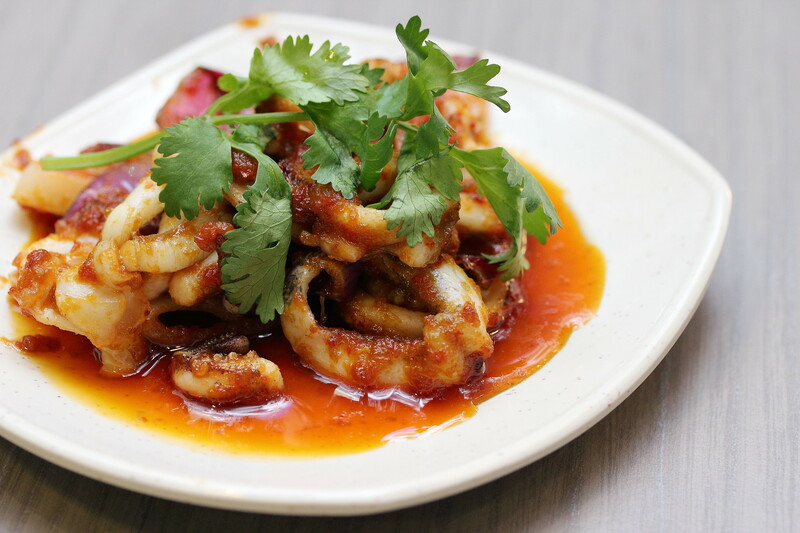 Between these two, I would prefer the Sambal Sotong more. It stands out in terms of its crunchiness, which was quite satisfying when I chewed at it. Honestly speaking, I haven't had my rice with Sambal Belachan for quite some time. I find most of them slightly too spicy and I hate it when I couldn't taste anything but the chilli. Hence, for theirs, I started off with just a tiny bit, to go with my food. And wow... I couldn't help but took a much bigger portion of it. Its level of spiciness is just right for me and I feel its robustness comes from the right mix of proportion of its base ingredients. It simply brings the taste of my food to another level. 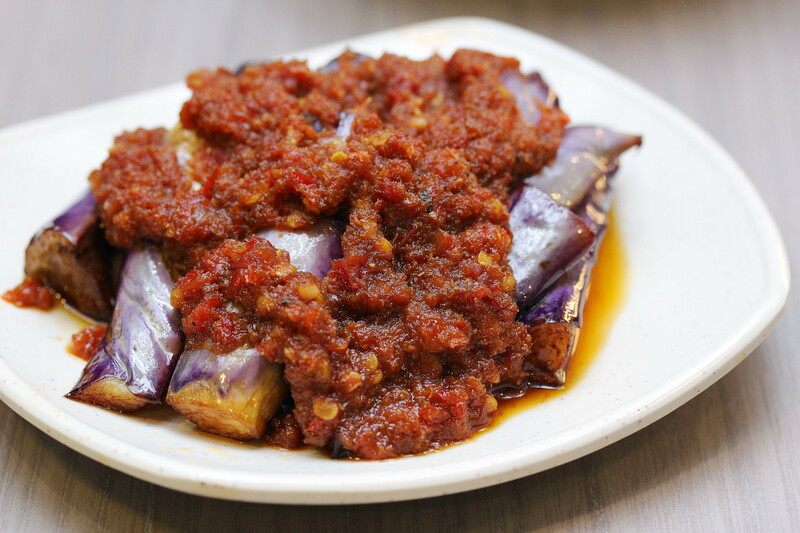 For the vegetables, the Sambal Egg Plant was slightly too greasy for me. 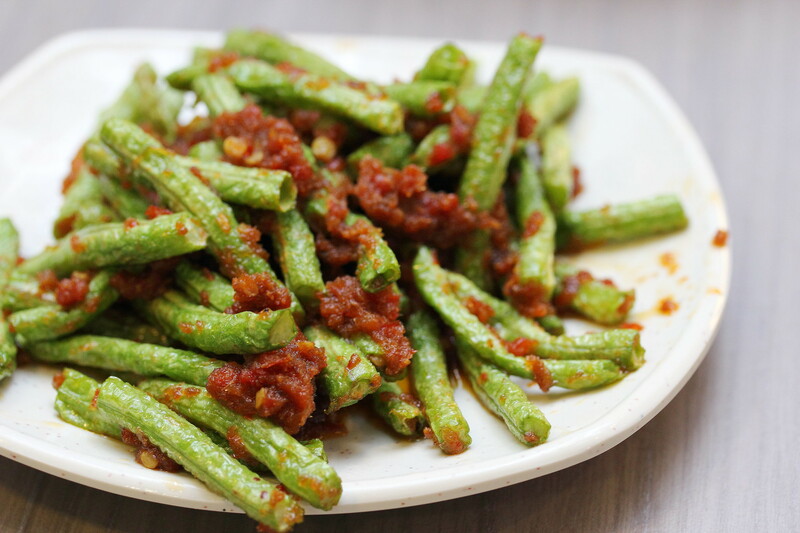 The Sambal Long Beans was much better. It was crunchy, unlike the usual Chinese style. The Sambal on top of both vegetables was very flavourful, which reminds me of a good Dried Shrimps Chilli. 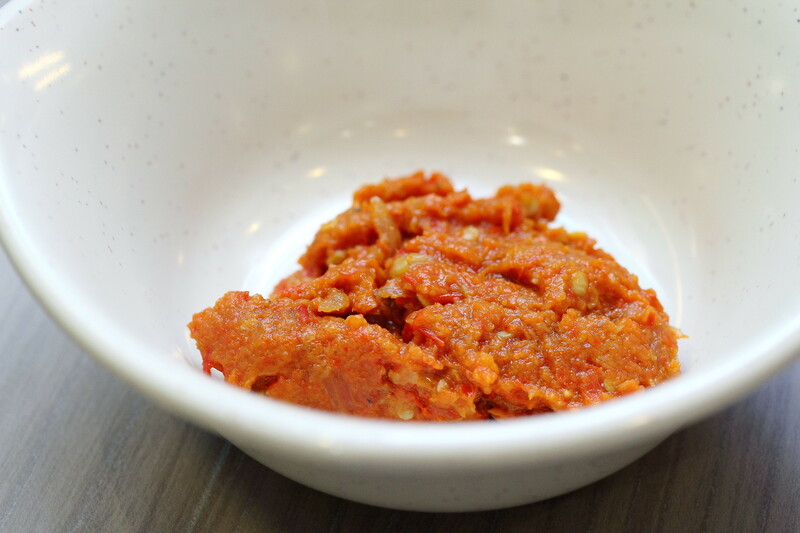 What I really can't forget is their Egg Balado. 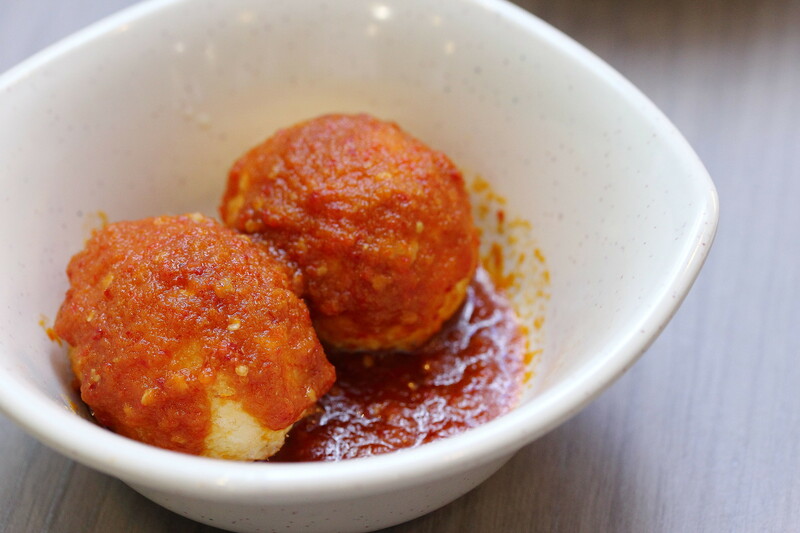 Basically, it is just fried hard boiled egg, simmered in balado. Somehow, the combination of the sauce and the springy egg works for me. The sauce was sweet and tangy, bursting with flavours as it touched my tongue. 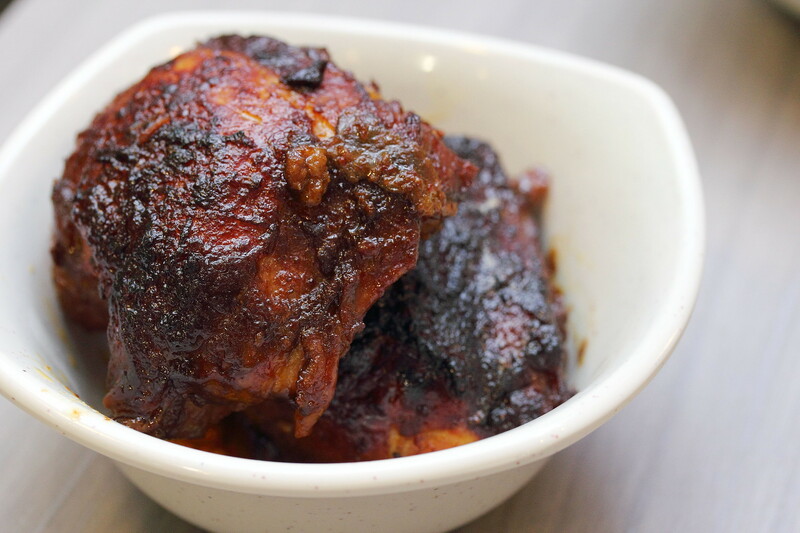 I then moved on to the meat - BBQ Chicken Ayam Panggang (grilled chicken), Beef & Chicken Rendang. I must say the BBQ chicken was quite impressive. The chicken was well grilled till thinned skin, and the meat remained as tender. 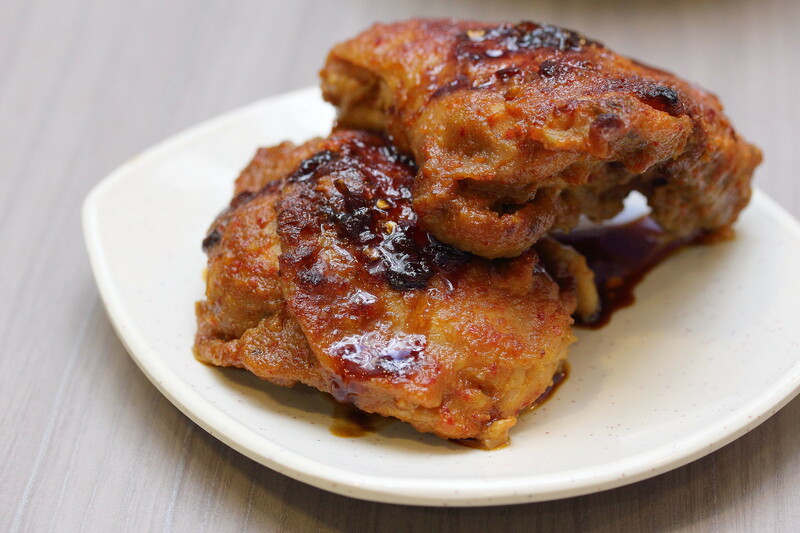 The sweet sauce which glazed over the chicken, made it so appetising that I almost devoured the entire skin on it's on. As for the rendang dishes, both the beef and chicken were tender, but I wish the taste can be more robust. Fortunately, the Sambal Baclachan made up for it! 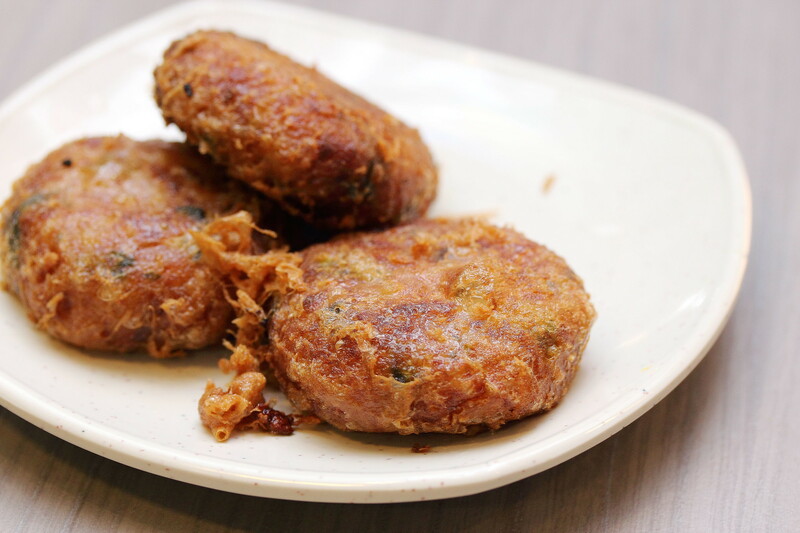 You may also like their Begedil (fried mashed potato). To many, I believe it is like a childhood comfort food. The Chef has mixed some Chinese Parsley to flavour the potatoes, which I think has helped a lot in lifting the taste. Reminds me of how my mum will add water chestnut, carrot, or the same herbs to her Yong Tau Fu. A little thought that goes into cooking your food does make a whole lot of difference. We came in the later part of the day hence we didn't manage to try some of the dishes. Nonetheless, we were in time for the popular dishes - bbq chicken ayam panggang (grilled chicken), beef & chicken rendang, sambal prawns & sotong etc. You have the choice of ordering their sets, which is $6.40 to $7.40 with a choice of meat/seafood and 2 vegetables. A la Carte is also available if you are greedy for more! 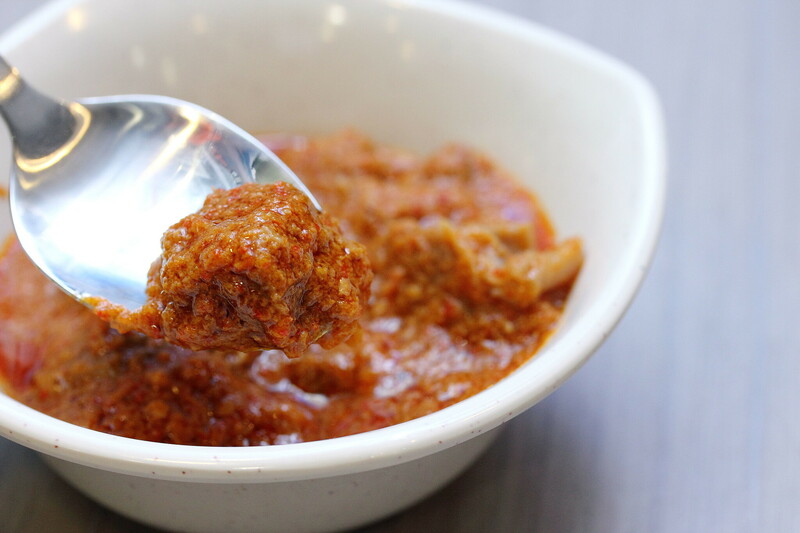 Sambal Belachan is free flow but Chilli Lovers, please refrain from taking more than you need, as it is painstakingly made from their hands. (My mum makes her own chilli, hence I do know how much hardwork and sweat are involved.). After all the sambal and rendang, you might want to clear your palate with their homemade honey lemon. Just top up 80 cents of your set meal to enjoy it. 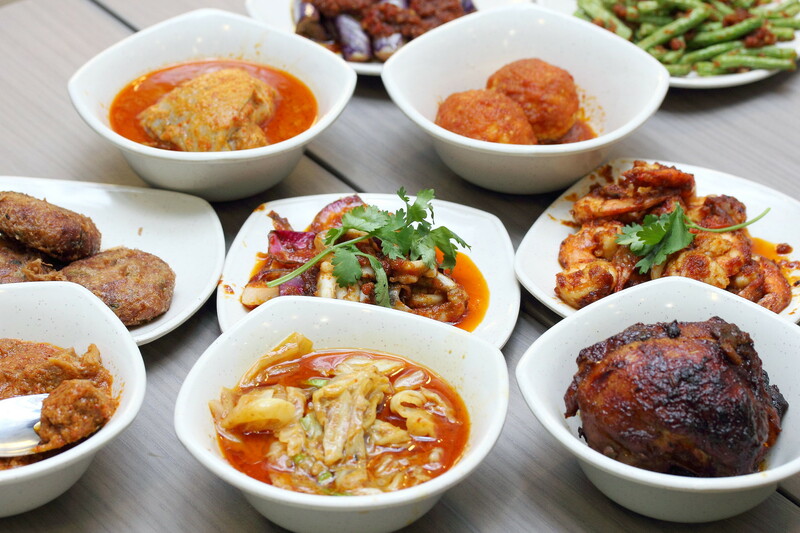 Warung Kampong is definitely another great dining option for the shoppers at The Central Clarke Quay amongst the different eateries which have sprouted over time. Do try their Sambal Balachan!